Well, Christmas Day is almost upon us, and so I’d like to wish all readers of this site a very Merry Christmas and a great New Year. 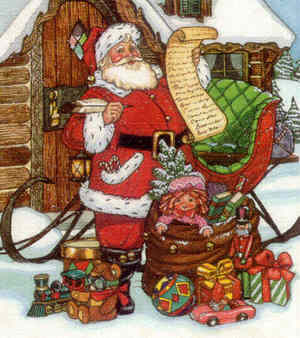 I hope Father Christmas brings you everything you want (and perhaps a few surprises too) on Christmas Day. I’m going to be taking a well earned break over Christmas (well, I think it’s well earned anyway) so see you all in 2009 for more memories of our favourite decade! 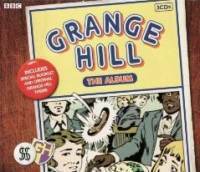 It seems that despite the fact that Grange Hill may have disappeared from our screens after all these years the BBC are not quite ready to turn their backs on it yet, as they’ve just released a three disc CD set comprising over 60 classic eighties tracks entitled Grange Hill – The Album . Obviously Grange Hill’s was at its most popular during the 1980’s, so despite the show running up until recently this album is firmly rooted in the eighties. As well as the obligatory Grange Hill theme tune (apparently officially called Chicken Man fact fans) you’ll find hits from such acts as Adam and the Ants, Queen, Madness, The Human League, Shakin’ Stevens, Wham!, Culture Club, David Bowie and many more (as they always say on the adverts for such albums). 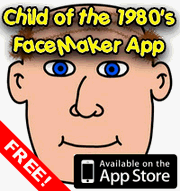 You’ll even find Toni Basil’s Mickey and Rupert and the Frog Song on there too! When Did You First Get A Mobile Phone? 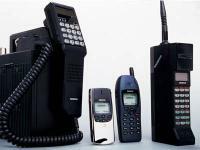 I wrote earlier this week about the mobile phones of the 1980’s, often affectionately referred to as Bricks, which led me to wonder when people first really started to get their own mobile phone. Â I’ve split the last couple of decades up into 5 year chunks to make it easier for you to remember! Finger puppets can be a lot of fun to play with, and these little fellas were particularly groovy. 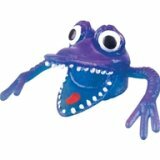 Â Made out of that weird stretchy rubber that always looks as if it should be wet to the touch, Finger Frights were strange looking monsters, with gaping toothy mouths and long wibbly arms that you placed on your finger and wiggled about, attempting to scare younger siblings. They came in a range of colours and designs and were one of those pocket money toys that sat on the newsgents shelf tempting you to collect the complete set. Â They were also a popular choice to go into the party favour bags at birthday parties since they were so cheap to buy. I distinctly remember enjoying pulling at the arms to see how far they would stretch without breaking. Â I’d pull and pull watching the rubber gradually lighten in colour until I judged that pulling any further would cause it to split, rendering my little beastie armless. Did you have a collection of these as a kid? Â Whether you did or not you can start a new collection off today as Finger Frights are still available in packs of ten from Stocking Fillers. Tracksuits have come on a long way since I was a kid, so much so that they are now worn as every day clothing by many people as they are both warm and comfortable to wear. Â Personally I think it looks a little lazy but each to his own. I do wonder though whether people would find them quite so fashionable if they still looked like the classic polyester tracksuits we had as kids in the years leading up to the early 1980’s. Â In those days most tracksuits were made of that slightly stretchy polyester material that always looks as if its been worn too much even when its brand new. As I recall most people ended up with what I would deem the classic Adidas tracksuit. Â The arms and legs would have white stripes down them, and the tracksuit itself was normally navy blue in colour, although I do remember one kid at school having a bright red one (and this was well after these tracksuits had become completely unfashionable and everyone was wearing tracksuit/sweatshirt combinations). Â They were usually sold as a two piece set consisting of trousers and a zip up jacket, which I think was usually hoodless. The other classic thing about these tracksuits were the foot straps at the bottom of each leg. Â You slipped these over your foot before you put your trainers or football boots on (it was amazing how many kids put the strap under their shoes, and then had to pull a muddy strap off the bottom of their footie shoes) and this kept the trouser leg from riding up and looking a bit ridiculous. Â This meant it was important to get a pair with long enough legs, otherwise you would have a material deficiency at either the ankle or backside level, preferably the former. The image accompanying this post is from a currently available version of this tracksuit from Adidas, so it appears somebody out there still thinks this style is fashionable! Sorry everyone, but this post features yet another of my home made images as I was unable to find a photo of an original Logger bar. I forget which manufacturer made the Logger, but I seem to recall I quite enjoyed eating them as a kid. Â A Logger was little more than a bar of chocolate, but its distinguishing feature was that it was curved on the top and had marks in it that looked a bit like the bark of a tree, hence why it was called Logger. I seem to recall it was available in more than one variety. Â I’m almost certain there were milk and dark varieties, and there may also have been a fruit and nut version too, but I can’t remember now. Lumberjack: I truly love a Logger. Girl: What, love one more than me? Lumberjack: The Logger that I truly love has marks on, like a tree. These days every man, woman, child, dog and cat seems to own a mobile phone (or cell phone to our US chums), and many own more than one for some reason. Â I’ve certainly seen many commuters on trains with their own personal phone, a work blackberry and just for good measure an iPod layed out in front of them whilst tapping away on their laptop, meaning they are probably in the habit of carrying around the better part of a thousand pounds worth of kit with them at all times! What has this to do with the 1980’s though, I hear you cry. Â Well, iPods may still have been twenty years away but the mobile phone was just beginning to appear, although as the image accompanying this post shows, perhaps calling them “mobile” was a bit ambitious. Early mobile phones were actually pretty large in size. Â Initially the power requirements of the devices were such that they had to be fitted in cars where there was room for the massive battery required to power it. Â I wonder if this is why one of the larger chains of mobile phone shops in the UK is called The Carphone Warehouse? Another reason for the phone being fitted inside a car was that the transmission of the telephone call was actually done via radio waves, so a second aerial (in addition to the normal one for the car radio) was fitted to cars to allow the phone to actually be used to make a call!